JACKSON – Hinds County Coroner Sharon Grisham-Stewart has identified the victim in Saturday’s fatal house fire in Jackson, WLBT reported. When firefighters arrived they learned the victim was inside, according to Jackson Fire Department Public Information Officer R.D. Simpson, WLBT said. Neighbors ran to the home when they saw smoke and attempted to save the man. “We kicked the door in from the garage and couldn’t get in and then we went and kicked the door in from the front entrance and couldn’t get in. And the smoke was just too bad to even think about it,” said neighbor and friend Melvin Stowers. 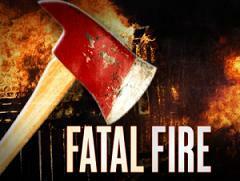 According to Simpson, this is the first Jackson house fire fatality in 2013. There were nine house fire fatalities for 2012.